I hope you enjoyed reading how my characters celebrate Christmas on the island of Trinidad. If you haven’t read the post yet, you can get it here. 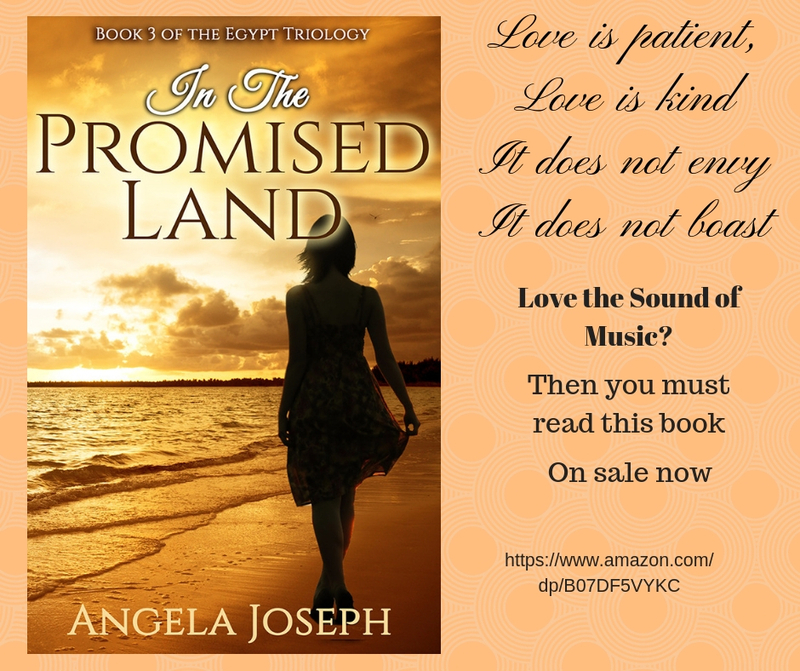 Today’s post is a short one to inform you that In the Promised Land, book 3 of the Egypt trilogy goes on sale from tomorrow. This book, which I like to call a modern-day Sound of Music, will make a perfect gift for yourself or someone this Christmas. Marva and June are two sisters who have come out of an abusive childhood and are now on the way to achieving their dreams. Marva is a nun at a school for delinquent girls; June is a law student. All seems to be going well for them, until their adoptive father is killed in a Muslim coup. Marva, always the strong, dependable one struggles to help the family cope with this and other unexpected crises. But she finds herself weakening. When her childhood friend, who has always had a romantic interest in her, reaches out to her, Marva finds herself torn between her love for him and her commitment to God. Romance, faith and intrigue are all intertwined in this gripping novel. If you love nun’s stories, you would want to get your copy of In the Promised Land now while it’s on sale. 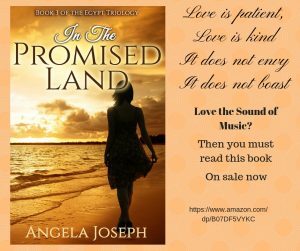 You can also read In the Promised Land free on Kindle Unlimited. Whatever medium you choose, I, and other readers, would appreciate it if you would leave a review on Amazon. Thank you and Merry Christmas!